Never neglect what a portfolio can do to your career. 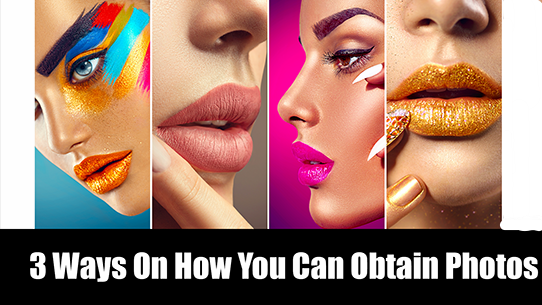 It’s usually how clients and employers would make a determination whether you’re a talented makeup artist or not. You can say you’re artistically skilled to do makeup, but no one will believe you unless you show them your past work. So step up your game... and put together a killer portfolio! If you are not yet fully equipped to finance a professional photo shoot with a set of professional photographers and models, you can stage your own. You can create your team by calling over friends and family who might want to help you out. Besides being able to lend a hand to you, they could also charge this to experience and possibly put this on their resume too. One tip is to include a list of people you think are interested in brushing up their skills when they assist you. It’s usually easier to work with those whose passion is in line with you because you have a common ground. But still be open to others who are new to this field. Maybe they don’t have the skills you are looking for as of the moment; but who knows what they can do once they start learning, right? After all, everybody has to start somewhere. However, if you’re someone who’s likely to learn more individually, the choice is all yours. You can do the makeup look entirely on yourself and be photographed by someone who has a good eye. But take note that this can be stressful. In one photo shoot, you’ll want to achieve different looks so having just one canvas might eat up your time. This will require you to become as organized as possible so this is a great learning experience on your part. You will get more freedom by doing your own photo shoot since you have the say in everything. You get to choose your own models, the styles, the setup, and all things behind the camera. However, for a more objective photo shoot, it’s best to have someone who has another perspective apart from yours. You may think something’s great that may not appeal to some; so it would really help you improve your photo shoot even more. Supporting a makeup artist with their client is one way to put your skills into action. You will be able to witness what it’s like to work on a client or a group of clients, depending on the situation. Some would be for shows, bridals events, and TV opportunities. You will get the real feel of being in the industry with all the excitement and pressure. But at the end of the day, this will introduce you to the world of makeup artistry. In this experience, you will also be able to hit two birds with one stone in this experience. You will get to practice your application based on how your artist mentor wants you to help. Besides the practical knowledge, you will go home with a new addition to your portfolio. You will most likely be given the chance to add this to your own set of work. But note that in some bridal companies, they can be strict in regards to distributing pictures. Just know how to communicate with your artist mentor and everything should be fine. This is one of the popular options that people are considering these days - attending a makeup school.A popular option if you are in for the experience of learning the ins and outs of makeup artistry, as well as participating in the professional photo shoot. You will be enticed by the photos that will be sent to you once you complete one of our programs. We always care about how our students’ portfolios will turn out. That’s why we always ensure our promise of giving them the best retouched photos. We only hire photographers that we know are skilled enough to make anything look even more beautiful than it already is. For our Intensive 4-Week Makeup Program and 5-Week Makeup Program, you will get one photo shoot each. For our Master Makeup Program, you will get the chance to do three photo shoots with us. But if you’re happy with your makeup skills and you think that makeup school isn’t for you any longer, we are still able to provide you with a professional photo shoot. Come try our Portfolio Building and see for yourself!